When the mercury drops in the Bundaberg region, it drops hard. It almost drops hard enough to convince even the keenest anglers to hang up the rods until the break of spring. But not even frosty mornings can keep Bundaberg’s die-hard fishos from a day on the Burnett River. And that’s no surprise; winter fishing can be just as productive as summer fishing. In fact, for some species, it can be more productive! That is, of course, if you follow the basic rules of winter fishing. That’s why we’ve put together this little refresher on some of the most effective winter fishing tips. So get ready to load up the tinny on its trailer or roof rack, and get down into your local estuary! Because after reading this, it’ll be the only thing on your mind. As much as we would love to smash barra all year round, there does come a time when the odds are really against you. And in the Burnett River, that time is winter! Barra just love that warm summer water, which means the best time to catch them is either side of the closed season. In the depths of winter, they tend to really bunker down and avoid feeding too vigorously. And although catching them is still possible, it can be time-consuming, to say the least. That’s why we recommend changing things up. Try targeting species that are more active in the cold water, like whiting, flathead, and bream. They put up an admirable fight, they’re more than tasty on the plate, and, most importantly, they’re easy to find! So spool up the light rods, and give it a go – you won’t regret it. Estuary fishing in winter can feel like a challenge. But there’s one sure-fire hack: find the warm water! If you have a depth sounder on your tinny, it probably has a water temperature gauge somewhere on the display. That will be your best friend on winter fishing trips in the Burnett! 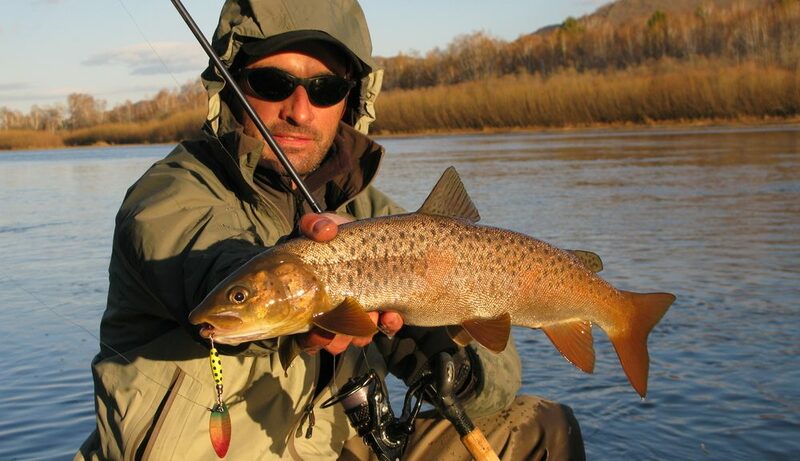 Simply meander around some of your regular spots until you find one with slightly warmer water. In most cases, that will be a sure fire way to get onto some fish. It’s one thing to recommend the warmer water, but it’s another thing to actually find it. So where do you start? As a general rule, shallow water is warmer water. For example, if you have a high tide peaking in the early afternoon, all that shallow water over the flats will have soaked in some warm sunlight. That means it may be a degree or two warmer over those flats. So if you position yourself alongside the flats and cast onto them as that tide peaks and begins to fall, you will be fishing over some of the warmest waters in the system. And warm water makes the fish active, so your chances of hooking up are pretty good indeed! If there’s one species you can rely on in the winter, it’s the offshore pelagics. But, funnily enough, you don’t have to go too far to find them. Generally, during winter, the mackerel move in northerly direction adjacent to rocky outcrops and inshore structures. So if you get weather kind enough to allow you out the mouth of the Burnett, it’s well worth trolling some lures as that morning sun peaks over the horizon. Patience is a virtue on winter fishing trips in the Burnett – the fish are there, but finding them takes time! Finally, our most important piece of advice: don’t give up! It might take you a few trips to master the winter fishing and start really getting onto some fish. But in the end, it’ll be more than worth. So ignore the cold and keep your boat loaded, and your trailer in good condition, because your next fishing trip is just around the corner! For more information on keeping your trailers and boats ready for action, get in touch!